No one likes a messy house especially during the holidays when you may have unexpected visitors. I never like to have a messy home when people pop in. It’s embarrassing! It can be especially hard if you have pets in your home. Pets leave hair and have unexpected accidents. To prepare for the holidays I wanted to really tackle the high-traffic carpet areas in my home especially where pet spots and stains are the worst. While at Kohl’s the other day I grabbed some of the BISSELL consumables so I would have a fresh home and carpet for our guests. These make cleaning up for the holidays simple and effective. Holiday cleaning can be so easy, even with a pet. We use the steps below to prep our home before and after the holiday hustle and bustle. Pets can really make a mess in your home so it’s best to stay on top of the cleaning! They lay everywhere and it seems like each one have their favorite spots. We have twelve cats but only one that enjoys staying inside at times. The others enjoy staying outdoors and in our barns. Over the years I’ve caught these unique creatures in the funniest places in our home. Yes, sometimes I sneak them in and out. haha! And we always seem to have at least one calf to warm up in our home every winter. It’s always a big cleanup job for mom. Of course, we hope we don’t have this when holiday guests arrived but you never know. Living on a farm has its daily surprises! Messy surprises too! Use our holiday cleaning tips checklist to make cleaning a breeze! Deep cleaning the carpets is an essential part of preparing your home for guests. It’s also great to do after they leave because you know there’s been high traffic in your home. I always use my BISSELL ProHeat 2X Revolution Pet Carpet Cleaner. You can easily clean pet spots and stains from your carpet with the BISSELL 2X Pet Stain & Odor Remover. It quickly removes pet stains and soils from my carpet with the patented odor-control technology. It contains Scotchgard and the best BISSELL pet machine formula for removing strong odors caused by urine. We all know how terrible can urine can smell! Get rid of it once and for all! I also love using the BISSELL Pet Oxy Boost Carpet Cleaning Formula Enhancer to keep my carpets smelling fresh. The carpet cleaning formula enhancer permanently removes tough pet stains, guaranteed. It’s perfect for a spotless home for the holidays. Be sure to outside of your home is as presentable as the inside of your home. Sweep off the sidewalk, clean windows and wipe down doors. Be sure you tackle in clutter outside your home too. If it’s snowing or icy be sure you have some ice melt on hand so guests down fall. And for goodness sake, be sure to shovel off your sidewalk! No guest wants to tromp through snow. Be sure kitchen drawers and cupboards are organized. Make sure you have an organized area to hang coats and place shoes. Clean out and organize your refrigerator and freezer too. You’ll most likely have leftovers so be sure to have a spot for them. Go ahead and get a head start on your laundry. Make sure you have plenty of clean towels and linens for your guests. Also, wash the sheets on beds so your guests enjoy their stay. Make guests feel at home with a welcome basket. I know it’s not necessarily cleaning but it’s a great addition to make any guest feel at home. Try our Guest Bedroom Prep for Holiday House Guests. The BISSELL ProHeat 2X Revolution Pet Carpet Cleaner and consumable products also make the perfect gift! Here’s an infographic to help you select the right BISSELL product consumables to fit the needs of your home and pets. Enter to win one of three Visa Gift Cards on the giveaway form below! Giveaway ends December 31, 2015. 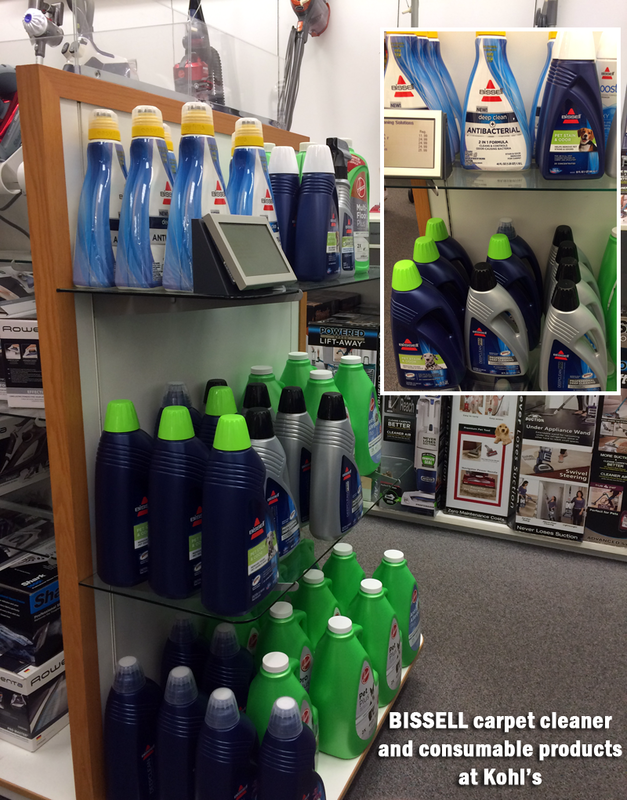 Head over to BISSELL to learn more about the various benefits of the BISSELL Scotchgard Formulas. What did you learn? Comment below and share with us! This is a very handy and helpful list; thanks a lot for posting!